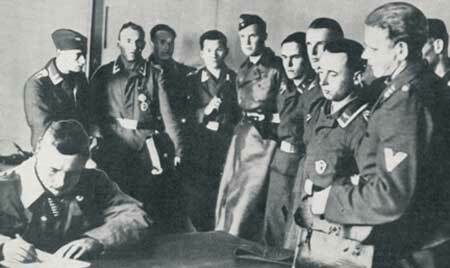 The ‘Black book’ was a popularised name of the Nazi ‘special wanted arrest list’ drawn up for the immediate period after a successful Nazi invasion in 1940. An invasion that was, thankfully, never to be, largely as a result of the ‘Battle of Britain’ culminating in September that year with air supremacy retained by the British RAF, and the fact that Britain still had the most powerful navy in the world - making a sea & airborne Nazi invasion impossible. The original name in German is ‘Sonderfahndungsliste GB’ which means ‘(es)special(ly)/most wanted list –GB’ (GB- Gross Britannien –Great Britain). Similar lists were drawn up and, indeed, used for the USSR, France, Poland etc, thankfully the only place in the British Isles that experienced these roundups was the Channel islands, although the rest of the UK after a successful invasion may well have had a similar pattern. 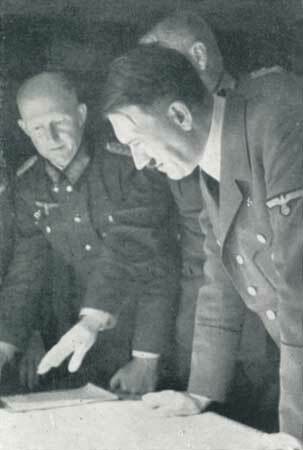 A list of 144 pages containing 2820 names of Politicians, writers, emigrees, known intelligence agents, scientists and artists was drawn up by SS General Walter Schellenbergs office. Schellenberg was to become the ‘Police’ chief responsible for GB after an invasion, the main Gestapo offices were to be based in Birmingham. The list shows the department of the RSHA (Reichssicherheitshauptamt- Reich security service) which would investigate each individual, this often gives insight into what ‘crimes’ the individual was suspected of having been involved in. It's interesting to note that some of those listed are wanted by multiple departments, although which order would be used to decide which department had priority is unknown. There seems to be little written evidence that those 'wanted' would have any collective 'fate' as such, although some would obviously have more to fear than others based on what we knew after 1942 of the Holocaust and concentration camps (i.e. Jews, Communists and ex Nazi defectors), however no arrest or incarceration would have been pleasant. In 1940 there were 450,000 persons of direct Jewish descent in the UK, all of whom would have been 'enemys' to the Nazis, and any indirect family connection after that, then the Freemasons and so on.